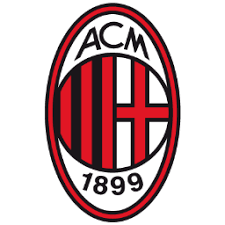 Milan’s record so far is disappointing, but not disastrous. In the previous six seasons they’ve finished 5th, 5th, 6th, 7th, 4th and 6th last season. Their last, and only piece of silverware during this save, came way back in January 2019 when they won the Supercoppa. They’ve gone through four full time managers previous to my appointment and the only other major event of note is that they had a takeover as recently as January this year. Just the 14 yes-men from Frankfurt! The staff situation at Milan was surprisingly bad. I assume that when former manager Miguel Herrera was sacked, a bunch of staff went with him. I’ve let a few more go, and replaced them with some of the best staff I had at Frankfurt. We’ll still need a couple more faces. There’s enough money there to get some very good players in, and if we can let a few bits of the dead wood go too, the wage budget shouldn’t need too much tweaking. This is a quick and obvious one. European football = good. Despite their poor performance last season, 6th place in Serie A is good enough for qualification direct into the Europa League group stages. Sweet. Donnarumma, Calabria and Romagnoli are all very good players and in their prime years. Rodriguez (fresh back from his loan spell at Galatasaray (you idiot Herrera)) is still a very good left back, if approaching the end of his career at 32 years old. Montes is good too, but I’ll be looking to upgrade, after learning from last season with Frankfurt what a difference absolute top quality CB’s can make. But even without enhancements, this is a back 5 that should be able to compete with almost anyone. I’m really looking forward to developing him, he looks a very exciting prospect. There’s literally not a single player in the U20 squad that I think will make it. The U18s are a little better, with three players that I have some hope for. Overall however, there’s nowhere near the level of youth talent I would expect from a team like Milan. André Silva looks a decent player, although I’m thinking about playing him as an Inside Forward. The other option up top is Rodrigo, who looks a good player, but is entering the final year of his contract in which he will turn 34. Definitely an area to focus on. There’s a disturbing lack of depth to the first team, with a large number of loan deals to Milan about to come to an end. I think at least half a dozen additions are required, particularly in defence and as mentioned above, up front. Well, they’re ambitious. My first thought was for a gradual rebuild, but given this demand to finish in the top 4 (with no wiggle room provided from the other competitions), the new plan is to strengthen. Quickly. This one is on me. I clearly said something stupid in the interview that was interpreted as a promise not to sign any more staff. Or maybe it was just that I brought 14 of my own in! We have to manage with who we have until the new year. Not a massive deal. One of the first bits of news I got after being appointed, was the cancellation of fifteen lower league affiliate clubs. The ones we have left aren’t much cop. Six non-league Italian sides, a 2nd tier Bulgarian team and a 2nd tier Chinese club. What the hell have you clowns been doing for six years!? So they should offer more of a challenge than Bayern did in Germany. It certainly looks ugly, but to be honest, it’s part of what made Serie A appeal to me. Later this week I’ll post again, as I get properly stuck in to the job, as my journey in Italy begins. Thanks for reading! 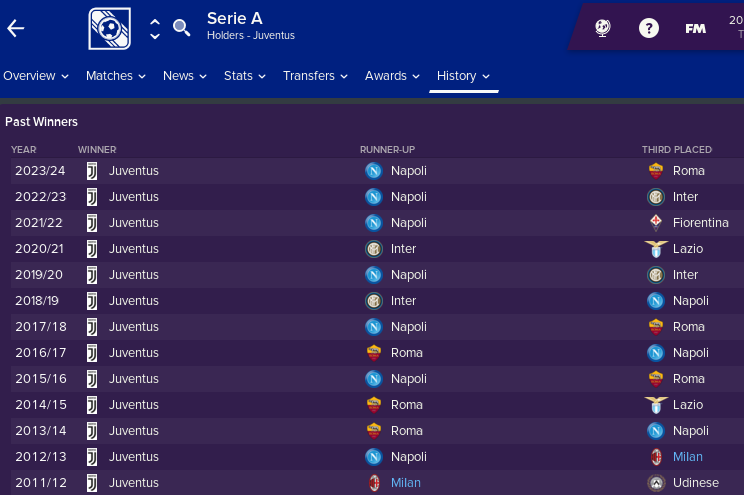 This entry was posted in Gaming and tagged AC Milan, FM19, Football Manager 19. Bookmark the permalink.